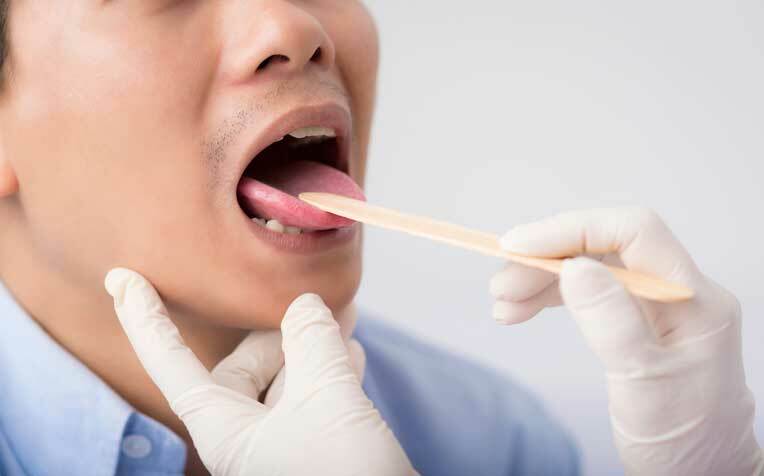 ​​Tongue cancer can be treated effectively, usually by removing part of the tongue, according to the National Cancer Centre Singapore (NCCS). ​can be prevented by having good dental hygiene. If caught early, only a small portion of the tongue needs to be removed as the surgeon will make a circular cut. If the cancer is more advanced, the surgeon may have to remove half the tongue or more. After surgery, most patients will be able to speak and use their tongues normally. However, if more than two-thirds of the tongue is removed, patients may have difficulty speaking and swallowing. Doctors may recommend reconstruction of the tongue and speech therapy, along with conventional cancer treatment methods such as radiotherapy and chemotherapy to fight the cancer. Early detection and swift treatment is important, Dr Gopal Iyer, Consultant Surgeon, Division of Surgical Oncology, National Cancer Centre Singapore (NCCS), a member of the SingHealth group, said. “I had a 22-year-old female patient from Malaysia with a lesion on her tongue. When she saw me, one-third of her tongue had already been removed in Malaysia.” He confirmed that the lesion was cancerous, and removed more of her tongue and also operated on a big lymph node in her neck. Towards the end of her radiotherapy, the tumour returned and the patient decided to go to China for medication. By the time she returned to Singapore, her cancer had spread everywhere - it was already too late and she died. Patches in your mouth. They could be white or red and look like thrush but you cannot scrape them off. Lumps on the tongue. Not every lump is cancerous, but it needs to be examined. Mouth ulcers that don’t heal. Painless ulcers are more worrying. Catching a small cancerous ulcer means only a small portion of the tongue needs to be removed. Inflammation or swelling in the mouth. Problems can start small. Pain when chewing or swallowing food.